The American Middle East Institute, headquartered in Pittsburgh, Pennsylvania, welcomed a delegation from the Egyptian Embassy on March 10 and 11, 2016, led by His Excellency Ambassador Yasser Reda. With the Ambassador were his wife Mrs. Nahla Al-Shimy, Mr. Al-Desouky Youssef, Minister Plenipotentiary, and Mr. Mohamed El-Hady, Second Secretary. 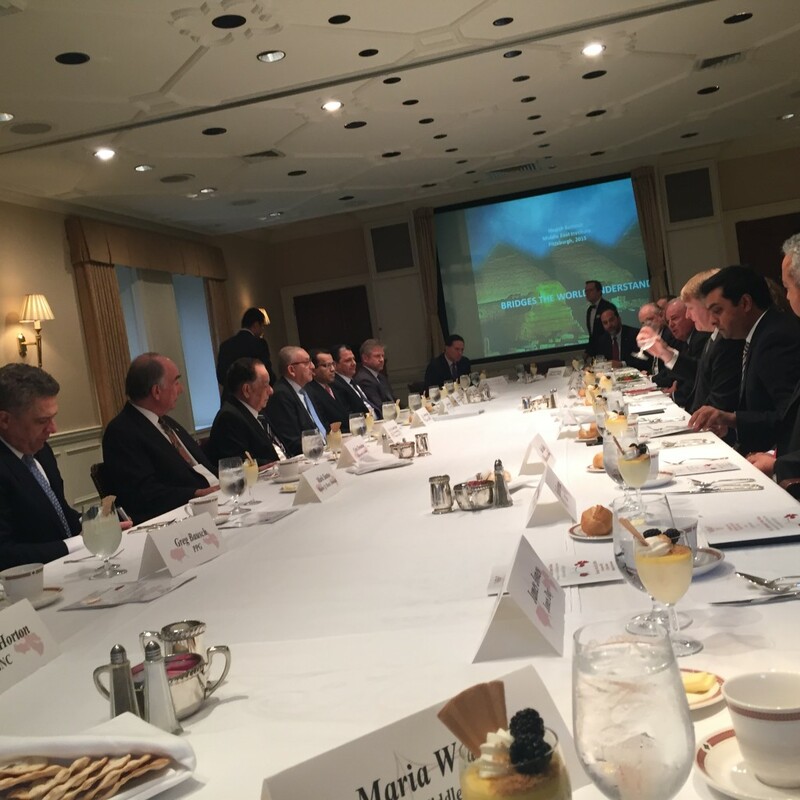 The Ambassador spent the first day in Pittsburgh and the second day in Cleveland, Ohio meeting with business and civic leaders. 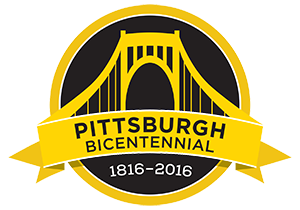 He was welcomed in both Pittsburgh and Cleveland by the Mayor and Country Executive. Above: A luncheon conversation with His Excellency Ambassador Yasser Reda on March 10, 2016. The Duquesne Club, Pittsburgh, PA. 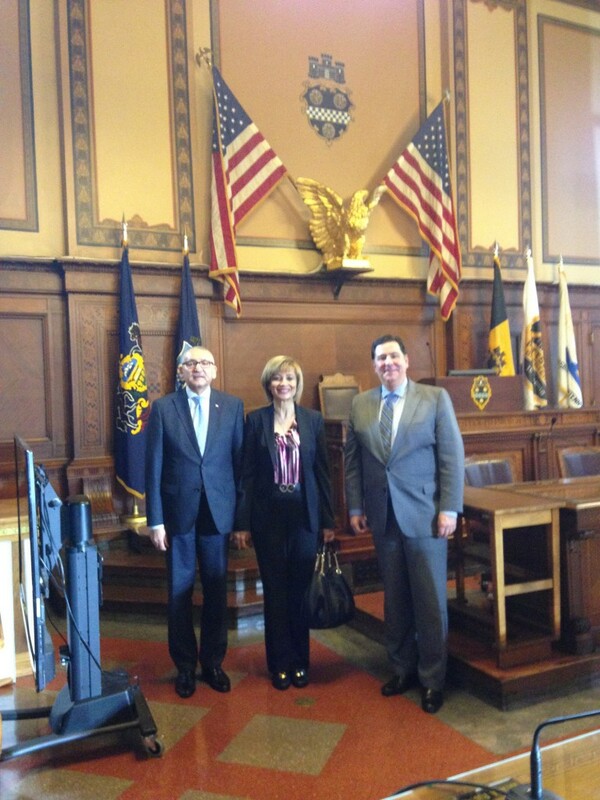 Above: Ambassador and Mrs. Reda with Pittsburgh Mayor Bill Peduto. Vice President Harun Rashid and AMEI President Simin Curtis. 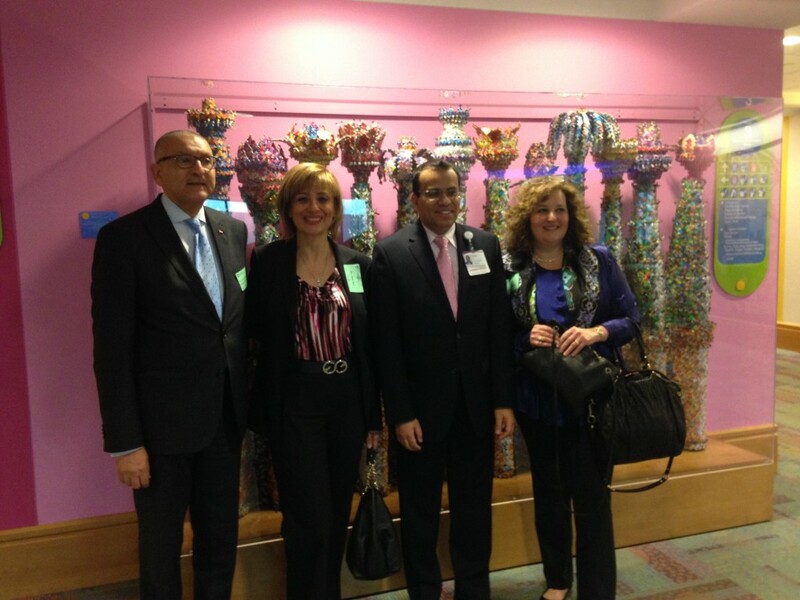 Above: Ambassador and Mrs. Reda with Cleveland Clinic CEO Dr Toby Cosgrove. 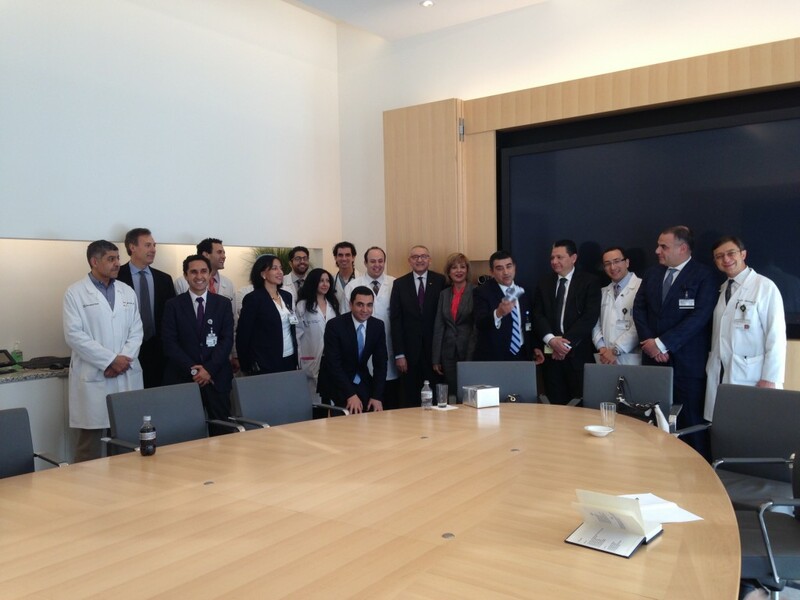 Above: Egyptian Ambassador Reda (center) with Egyptian doctors at Cleveland Clinic.